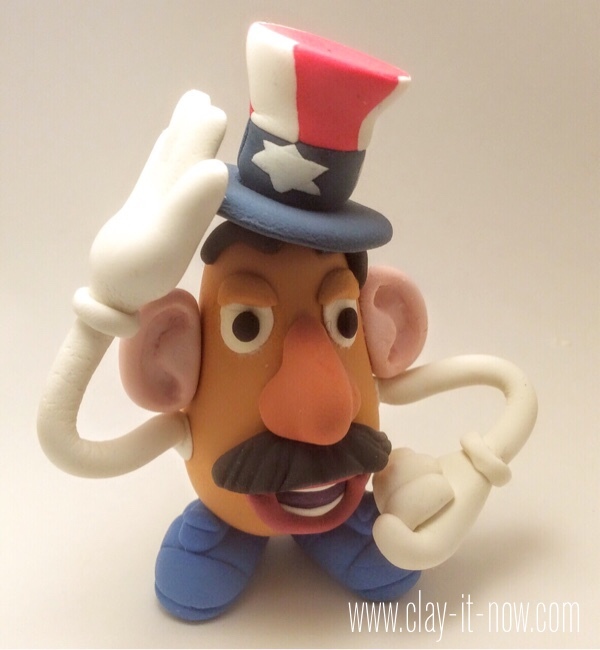 Here is the Patriotic Potato Head clay figurine. Hm... do you think this Mr. Potato Head too skinny? If you think so, make sure you add more clay for the body or add styrofoam backing when you make the figurine. Prepare your clay color: brown, blue, red, white, pink, black, dark red and a little bit of purple. 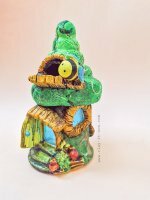 We used Crayola model magic air dry clay for the figurine. 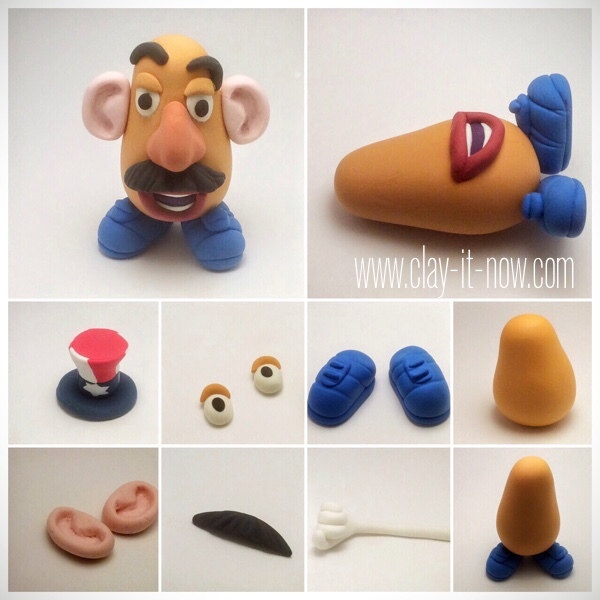 Please feel free to check other type of clay if you are new in clay craft. Take your brown clay and knead it well. Roll it to a ball shape and than an egg shape. This is the basic shape for the shoes. You need to add lines to make the shoes looks like his real shoes. From the ball shape, make an oval shape and flatten it. Make another flat oval shape for the base and then small flat oval shape again for the top and add the minus sign. Firstly, roll and flatten purple clay and cut it to the shape you like for the mouth. Add white clay for upper and lower teeth. Then, wrap the outer line of the purple clay with dark red clay in thin spaghetti shape for the lips line. 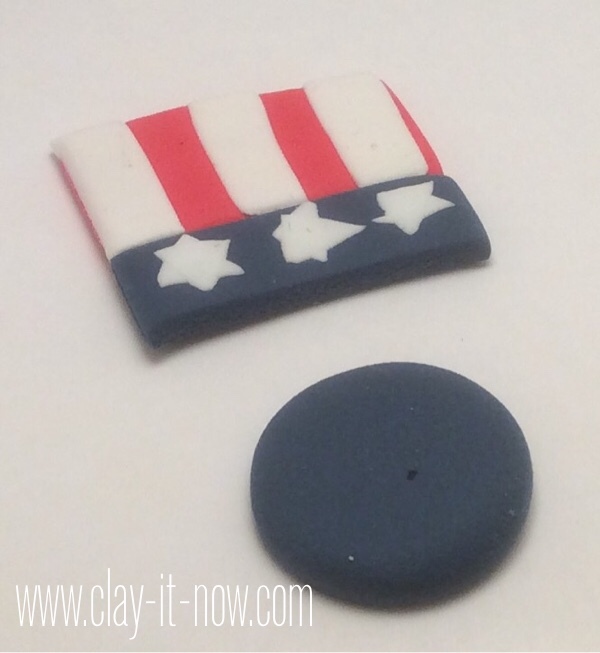 Add a little bit of red clay color to your brown clay and shape the clay to the above picture. You may start with the triangle shape and smooth it. Always start with the basic shape. 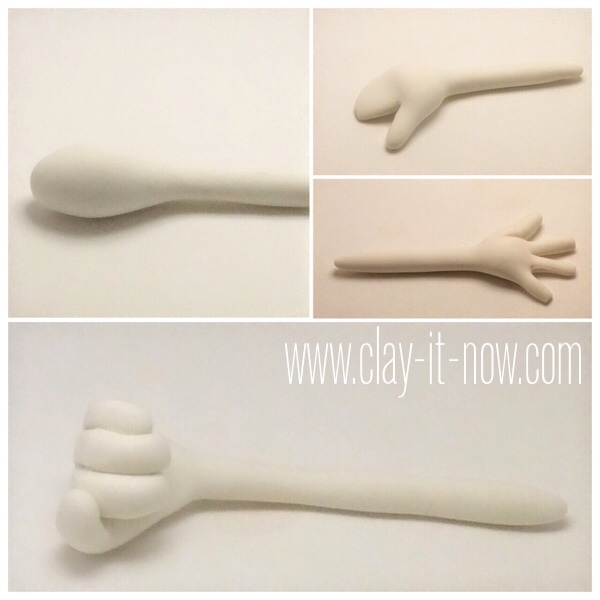 Divided the tip of the clay to 4 equal part and shape the fingers. Position the fingers to your preference. Frankly speaking the eyes play an important part for the overall expression. Place the black dot in different position and you'll see the face looks totally different. Don't forget to add the eye lids using the same clay color with the body. 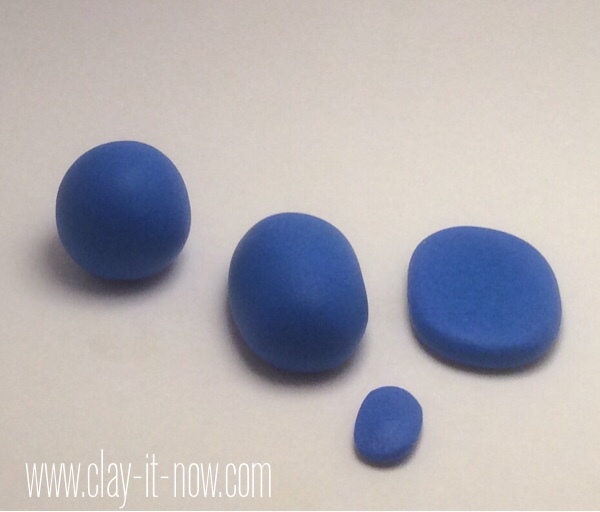 Start rolling your pink clay to a ball shape, flatten it and cut to two. Smooth the edges and make the indention using small ball tool. Beside of the picture beside you still need another flat round circle in white or red color to cover the top of the hat. Roll the rectangular shape around the base and cover the top. Alright! 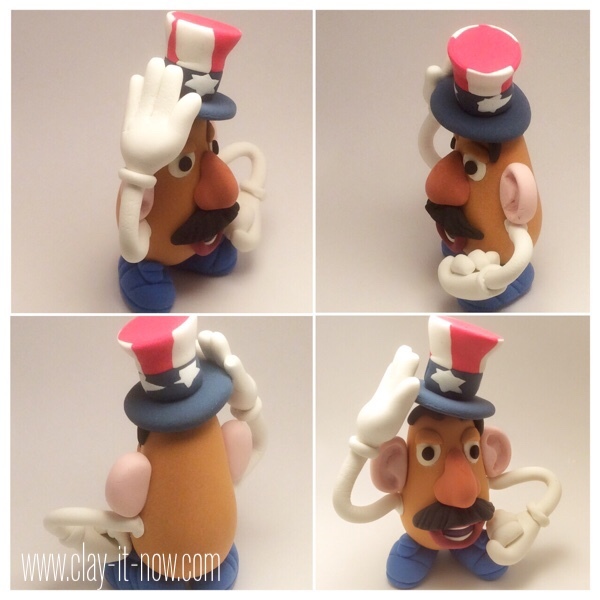 Here is our completed patriotic potato head clay image from different angles. Did you make Mr. Potato Head in different style? We would love to hear from you. Please share your story and picture using the submission from at this page.